Big 2018 News: Joe Satriani “G3/What Happens Next” World Tour! 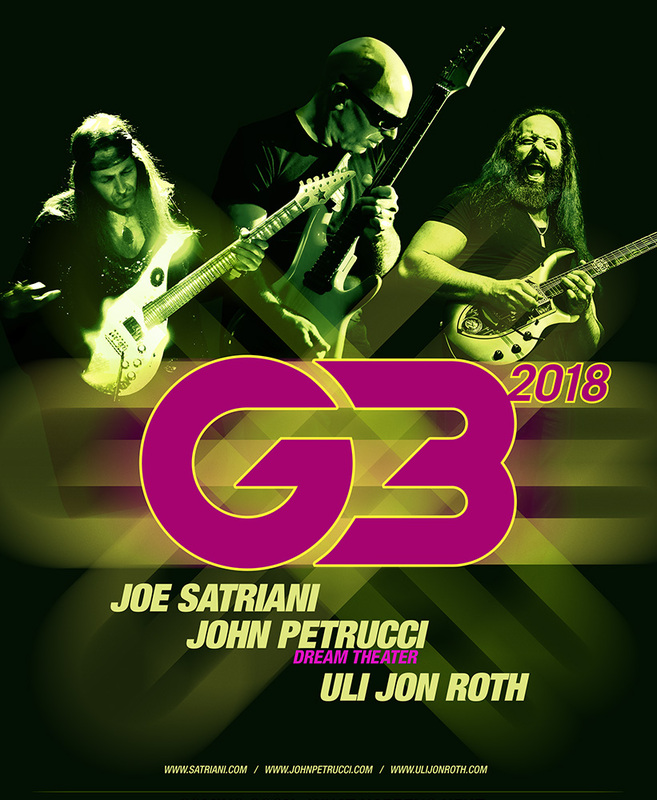 BIG 2018 NEWS: JOE SATRIANI/G3 WORLD TOUR!Hey everyone. It’s been over three months. I’ve been mostly holed away in a solo album songwriting cave. Everything ok out there in the world? *listens to panicked shrieks* Uh…hmmm….ok, a mixed bag. Well, in crazy times like these, what everyone really needs is more music in their lives, right? I say this from a purely objective standpoint, with nothing to gain from stating this universal principle for all to hear. *waits three seconds* And now let me tell you all about some cool musical things I’m up to, and promote some exciting stuff that’s coming up for next year. Too quick on that pivot there? Let’s start with the headline: I’m super excited and grateful to be joining Joe Satriani for his G3/What Happens Next 2018 world tour. He’s a consummate pro, an absolute pleasure to work with, and not like anyone needs me to say this, but he’s also one hell of a guitarist and songwriter (his new album absolutely ROCKS). And I’m beyond thrilled to be doing it with Mike Keneally on guitar/keyboards and Joe Travers on drums. Not only have we been close friends for 25 years and counting, but it was Mike and Joe that gave me the break that started my career in the music business. Hard as this may be to believe, even though we’ve played together in various projects for most of our adult lives, this will be our first true world tour together as a unit. So I think it’s going to be really special. I’m also still working very hard (some might say obsessively, or maniacally) on finishing the demos for my first solo release in ten years, which is turning out to be a massive, modern progressive concept double-album. I’m now working through the realization of song #16 of 18. It’s the kind of thing that I feel artistically compelled to do, or else this music will circle on endless repeat in my head forever and that’s just crazy-making. I hope to have the demos done by the end of the year. I’ll be looking to record it in 2018, and perhaps even put together a full-production live show around its presentation. While I don’t exactly know when I’ll have it ready for release, I do know that I’m committed to this artistic vision I’ve had in my head for many years now, and I’ll keep working on it until it sounds great and tells the story it’s designed to tell. It’s taking up a lot of space in my world right now, as you can imagine. I could go on and on and on about this, but I’m going to try and save my fire for when the music is completely written. At that point I’ll probably be ready to reveal some details…maybe even the name of the album. 3. WHAT’S UP WITH THE ARISTOCRATS? Lots of folks have asked me about The Aristocrats during this much-needed year “off the road”. I’m so thankful for everyone’s support of this crazy, improbable instrumental trio. Playing with Guthrie and Marco is a wild, exhilarating joy, and I’m deeply grateful to both of my double-initialed brethren for this incredible energy we’ve created together. At the same time, in the past couple of years I learned that I am but one human, much as I may wish that I were two (which would surely make me the only person on earth to wish such a thing), and that my body, mind and soul work a lot better when I have a reasonable amount of break time at home between touring legs. So while current complexities collude to create a bit (alliteration, you have failed me!) of a “calendar clash”, I look forward to more Aristocratic activity in the future. Some folks still ask me about the missing basses – understandable considering what I wrote about the whole brouhaha! I got one back out of seven. Beyond that, it’s a very, very, verrrrry long story without a happy ending. So I’ve let them go. Maybe they’ll come back to me someday. Or not. Either way, letting them go certainly wasn’t my first choice, but it’s the only choice on the menu, so I’ve chosen it. To whoever’s got them: Godspeed. Each one has a rich, unique spirit, and they were all really great to me in ways I can’t explain in text. I hope you get what you need from them. Right now, I have a lot of great new instruments and I’m grateful for them. And right now is where it’s at. The dude hovering over the basses in the picture already knows that. Just look how happy he is. Because these upates aren’t going to type themselves and it helps if I can read them before sending. Seriously, it’s been a great year of recharging and musical discovery at home, and I can’t wait to share this new material with you. I’m cooking it as fast as the oven will cook, I promise. In the meantime, I’ll hope to see some of you in early 2018.